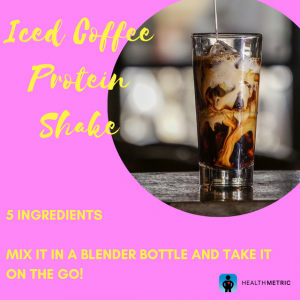 For all you coffee lovers, we have a delicious protein shake that you can make in your Blender Bottle. It’s a great protein-packed pick me up to take on your day! Directions: In the order listed, add ingredients to your shaker cup, close the lid, and shake until smooth.